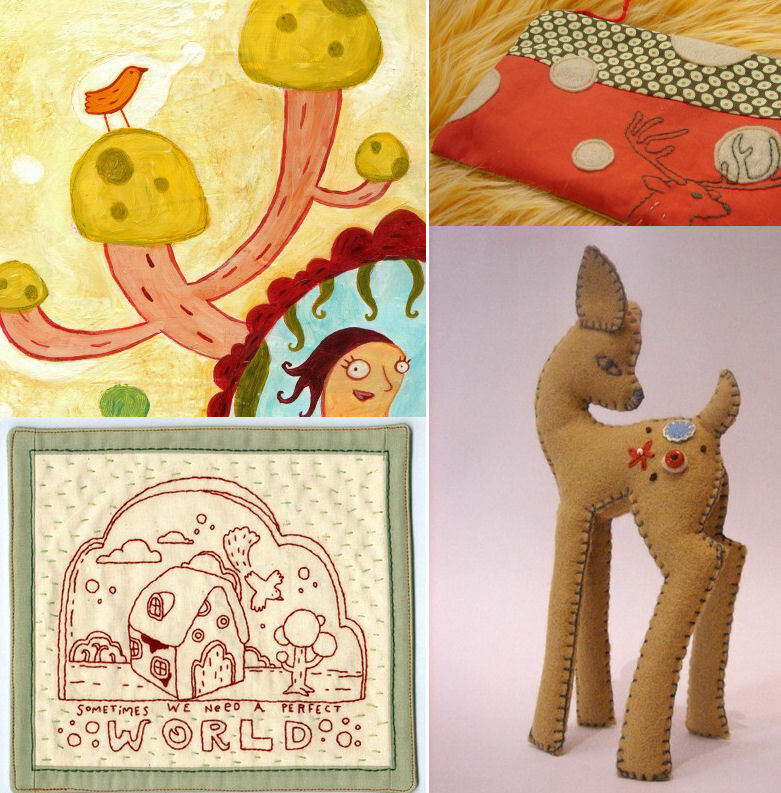 Tummyache from Australia has a nice array of purses, brooches, prints, all designed by artist and illustrator Julie Knoblock. I scored a mini quilt from Julie, which I plan to frame in a shadow box. Maybe you'll find something to love, too?